Everyone knows it's dangerous to "run" a stop sign or red light. You may not fully realize the long-term legal implications or the related NC traffic laws. We hope this webpage will help you, and will serve as a reference source for the NC Traffic Laws for information on traffic signals, control signals, and stop signs in North Carolina. It's more than just a matter of being issued a traffic ticket or traffic citation (Defense lawyers in North Carolina refer to them as UNIFORM CITATION). 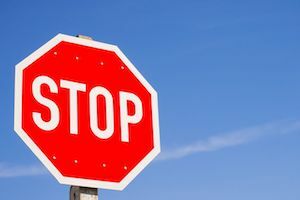 Running a stop light or stop sign may have implications on civil court and accident cases. In motorcycle accidents, bike accidents, and pedestrian injuries, stop light and stop sign violations are a major cause of "intersection injuries," per the National Highway Traffic Safety Administration or NHTSA. 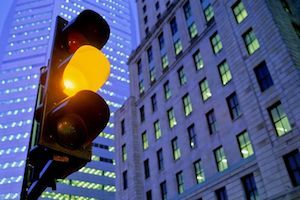 Even if unintentional or an accident, running a red light in North Carolina can be the legal basis for plaintiff claims involving negligent or a "negligent act." 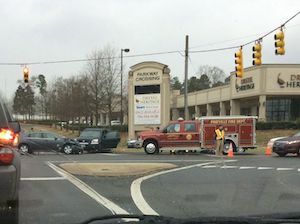 Recklessly accelerating through an intersection to "beat" a light could be used by injury lawyers (Plaintiffs Attorneys) as evidence of gross negligence in NC car accident cases. At intersections, by erecting or installing stop signs requiring vehicles to come to a complete stop at the entrance to that portion of the intersection designated as the main traveled or through highway. Stop signs may also be erected at three or more entrances to an intersection. At appropriate places other than intersections, by erecting or installing stop signs requiring vehicles to come to a complete stop. At intersections and other appropriate places, by erecting or installing steady-beam traffic signals and other traffic control devices, signs, or signals. All steady-beam traffic signals emitting alternate red and green lights shall be arranged so that the red light in vertical-arranged signal faces shall appear above, and in horizontal-arranged signal faces shall appear to the left of all yellow and green lights. At intersections and other appropriate places, by erecting or installing flashing red or yellow lights. The traffic laws in North Carolina authorize the Department of Transportation (DOT) to "control vehicular traffic." In their legal duty to provide safe roadways in NC to the motoring public, and to regulate traffic flow, DOT uses street signs, lane markings, red lights, "lighted signs," stoplights, stop signs and other roadway signs. The NC traffic laws demand people (motorists), operating vehicles on the public streets and highways in North Carolina, come to a "complete stop" at an intersection where a stoplight is displaying a "steady red signal light." Defense lawyers in court may refer to that as a "steady red glow." Intersections controlled by roadway signs and stop signs require vehicles to come to a full and complete stop," and to "maintain safe and proper control" of your vehicle. Failure to do so may result in the issuance of traffic tickets in NC for: Unsafe Movement, Careless Driving, Reckless Driving, and Failure to Stop at a Duly Erected Stop Sign. 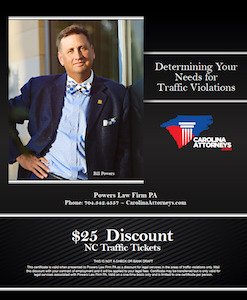 **Issuance of a traffic ticket in NC is not required for legal liability or civil claims for damages, including those for "negligent acts," general negligence, or gross negligence. Police officers may issue a traffic citation for a violation of NC traffic laws, but are not required to do so. In some personal injury claims in North Carolina, the alleged violation of the law may be in an accident report. The duty to stop, proceed with caution, and exercise proper care, applies to all motorists and all vehicles, including commercial vehicles, private passenger vehicles, and motorcycles. Everyone must obey all traffic signals on the road. 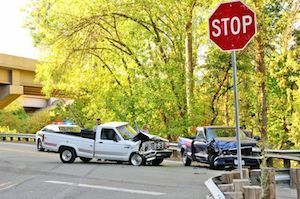 Accidents due to inattention still result in responsibility for violating a traffic law, even though it wasn't done on purpose. Running a stop sign or red light may be the basis for 3 points on your license (and 3 insurance points) depending the facts and circumstances. Running a red light can also bring costly fines, in addition to insurance points in North Carolina and "license points" levied by the North Carolina Department of Transportation / Division of Motor Vehicles (DOT - DMV in NC). Our law firm and lawyers have substantial experience with legal issues involving violations of the North Carolina traffic laws. 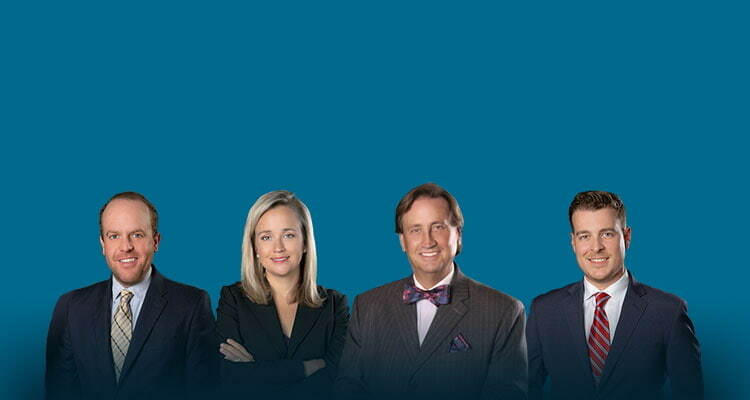 We serve as legal counsel to people hurt in a serious car accident, motorcycle wreck, or trucking accident. We also provide legal representation to people facing allegations of criminal charges, like DWI, reckless driving, and for more "minor" traffic tickets like stop sign and red light violations. Now is the time to call. We want to help. The consultation for personal injury cases and traffic tickets, criminal defense, and DWI defense are always free at our law firm.